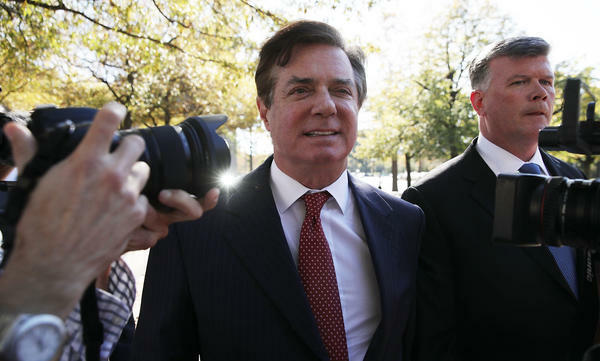 Former Trump campaign chairman Paul Manafort (left) arrives at a federal courthouse with his attorney Kevin Downing on Thursday in Washington, D.C. The judge also offered a stern warning to the defense lawyers, telling them to refrain from discussing the case outside of court. 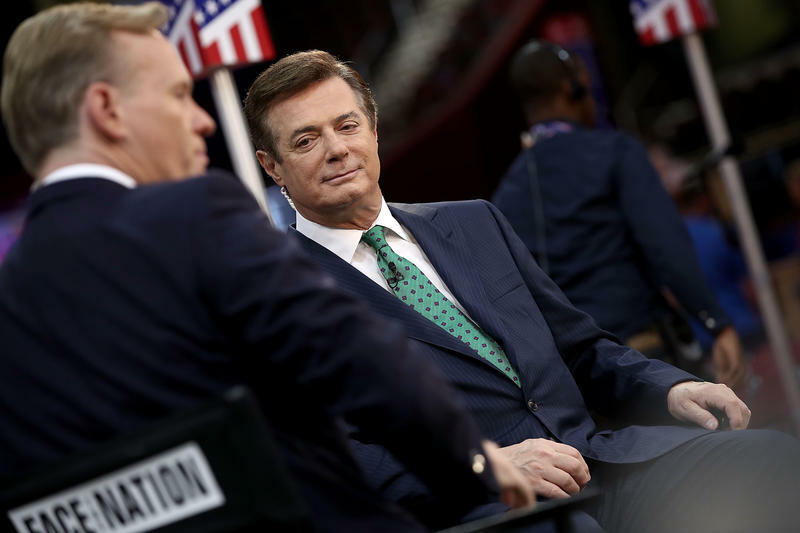 Manafort and Gates were indicted by special counsel Robert Mueller on 12 counts, including money laundering and other financial crimes. The charges stem from lobbying and consulting work the two men did for a former pro-Russian Ukrainian politician. Both men have pleaded not guilty. 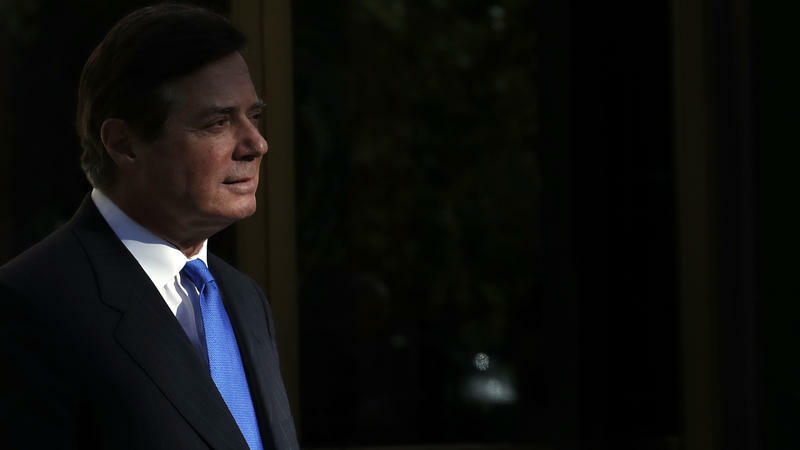 At Thursday's hearing at the U.S. District Court in Washington, D.C., lawyers for Manafort and Gates asked the judge to release their clients from electronic monitoring and home confinement. They argued in papers filed earlier in the day that the men do not pose a flight risk. Prosecutors disagree. They say the men have contacts overseas and could flee the country, particularly because they face long prison sentences, if convicted. Prosecutors would like the defendants to post assets or real estate as bond. 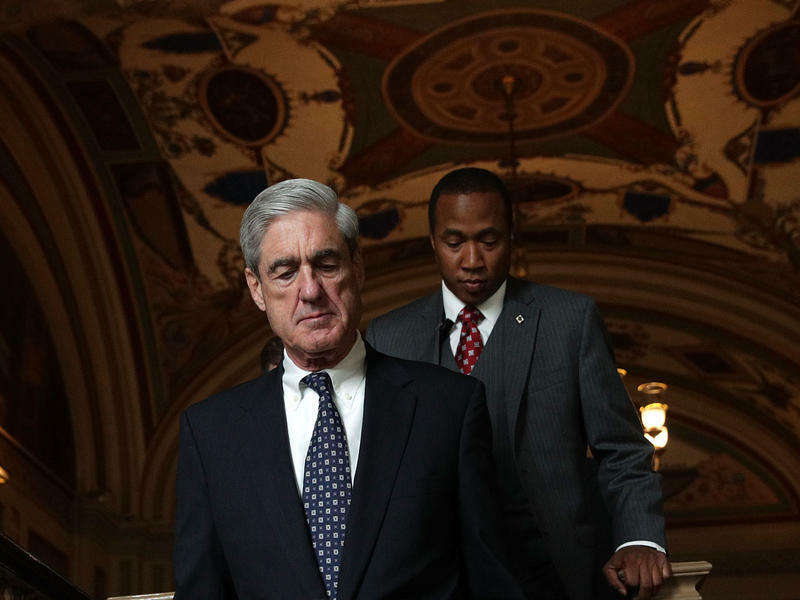 The charges against the men are the first in the special counsel's investigation into Russia's interference in the 2016 presidential election. While the charges are not directly tied to the question of collusion between the Trump campaign and Russia, the indictment has set Washington and the administration on edge. The other charges Mueller unveiled Monday, however, are related to possible coordination between Trump associates and the Kremlin. 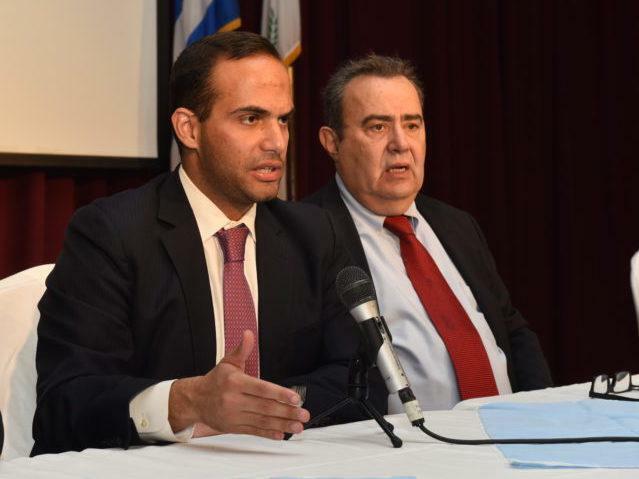 Former foreign policy adviser to the Trump campaign, George Papadopoulos, pleaded guilty to lying to the FBI about his contacts with Russians. The 30-year-old is now cooperating with the special counsel's investigation. Trump's nominee for a senior post at the Agriculture Department, Sam Clovis, withdrew from consideration Thursday, after his name was linked to the Mueller probe. Clovis, who served as a senior Trump campaign official, was revealed this week to have been in communication with Papadopoulos about the aide's contacts with Russians during the race. A confirmation hearing for Clovis had been scheduled for next week.